Copying of 10 consecutive words will be considered plagiarism: PGI Plagiarism guidelines. 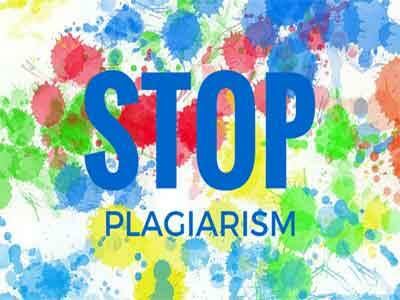 Chandigarh: Post Graduate Institute of Medical Education and Research, Chandigarh has recently come up with fresh guidelines for plagiarism to govern the research practices at the institute. The guidelines have been formulated after studying closely the plagiarism guidelines of premier education institutes in the country including AIIMS and IIT, officials informed Tribune. The guidelines come after repeated instances have taken place, where even senior faculty at the institute have found themselves caught up in cases of unethical research practices. In the month of May 2016, four doctors including two head of the departments at PGI Chandigarh were found guilty of “unethical practices” while conducting research work at the prestigious institute. In a most recent case that has come to light, one of the short-listed candidates for the PGI, Chandigarh, director post, Dr Meenu Singh, found herself accused in one such cases, where an international review, where she was a joint author was published in 2013, and was later withdrawn for a brief period in 2015 after allegations surfaced that it contained parts “copied” from another writer’s paper. The review stands still withdrawn reports HT. Even while numerous cases of plagiarism have come to light, the institute has been unable to take action in plagiarism cases, owing to lack of guidelines in this regard. Keeping this in mind, a committee under the officiating PGI director, Dr Subash Verma was constituted to frame the guidelines. “Copying of 10 consecutive words will be considered plagiarism,” sources informed tribune about one such recommendation of the guideline. Moreover, as per the guidelines the licence to use the software to detect plagiarism must be given to each faculty member of the institute. Sources have further informed that if a case of plagiarism comes to light, a standing committee will evaluate and examine the same in a time-bound manner. 4 comment(s) on Copying of 10 consecutive words will be considered plagiarism: PGI Plagiarism guidelines. Hope it is not considered plagiarism when quoted with reference in italics / within brackets . So henceforth any paper containing the phrase \”from Post Graduate Institute of Medical Education and Research, Chandigarh\” will show up as plagiarized!!!! Seriously??? Where do they get these ideas? only the main content will be checked by the software, i suppose.